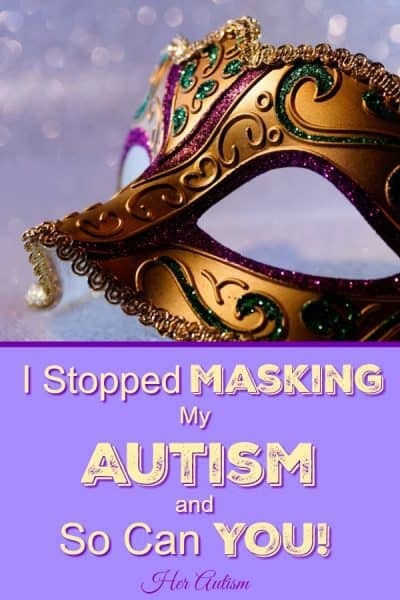 I Stopped Masking My Autism and So Can You! Experts talk about our inability to imitate. Those same experts can’t see past our chameleon-like efforts to diagnose us. 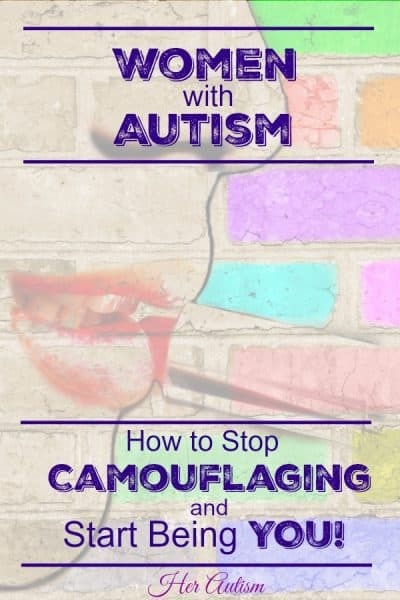 They call us “chameleons,” claim we “camouflage,” or insist we are “masking” our autism. If it weren’t so sad and ridiculous, the irony would make me chuckle. It’s Good To Fit In, Right? Like me, you may have come to realize that you can “fit in” to any situation you face. Cool, right? Except when you live like you HAVE to fit into any situation and feel that you HAVE to become someone other than you. AND when all the while you’re “fitting in” you know in your heart you don’t “fit in” at all. Many of us with high functioning autism have spent a lifetime trying to pretzel (yes, pretzel is now a verb!) ourselves into whomever we need to be to succeed in social, school, or work situations. We try to do that in EVERY situation, even those with our closest family and friends. THAT can cause us to feel like we are not enough, like we don’t even know ourselves, or worse, like we don’t even exist. More, even though we’re may be good at it, like EXPERT good at it, it takes tremendous energy, resources, and effort. Tremendous effort in one-on-one situations and CRAZY effort in a group! It helps explain why spending time with others is so exhausting! My friends, we have wicked-good skills. 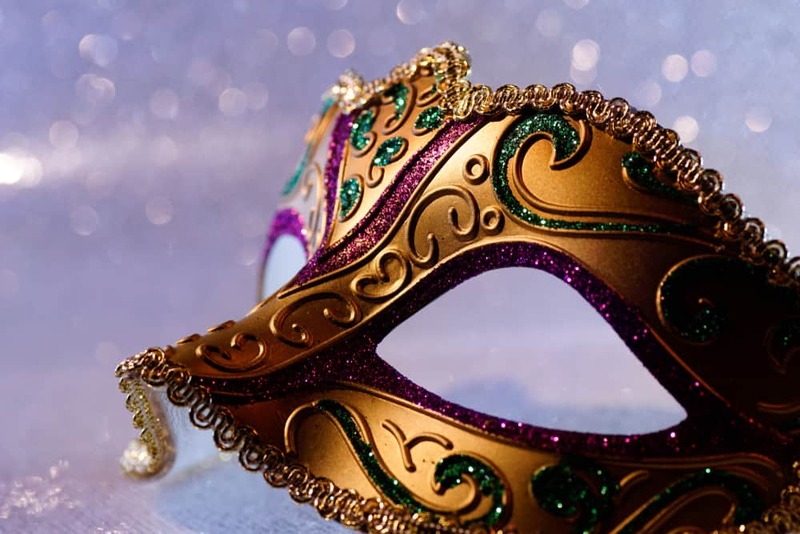 Skills that benefit us by protecting us from others at the same time they damage us by hiding us from ourselves (and others!). A powerful thought. We deserve to know who we are. Not who we are when we are standing next to the person with whom we are blending, but the person we each are in our own right. 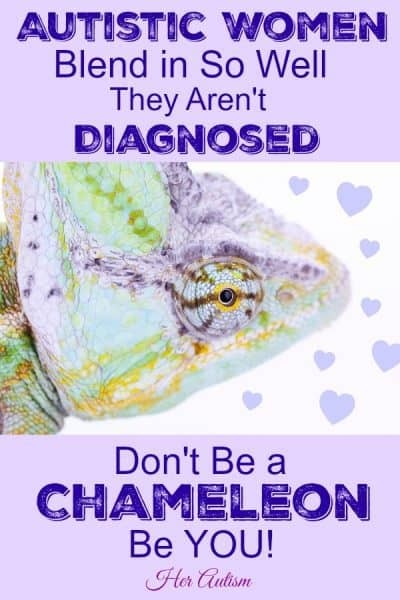 I knew that I was a chameleon long ago, well before I knew of my autism. In fact, I knew before people were even talking about autism. I would pick up the accents of the people to whom I spoke. This technique worked in one-on-one situations, but became a mess in groups. Embarrassingly, people often played guessing games to determine what my real accent was. I used the words and phrases others favored in conversations with them. If someone used the word “super” a lot, so did I, but only with them. I matched the volume and tone my conversation partners. I can be loud and edgy or soft and polite. Partner’s choice! These are a few of the more simple things of which I was aware. I don’t even want to think about the more complex ways I worked to look like everyone else. The scariest part? “Blending in” was completely second nature. I slid into the role automatically. I was WAY beyond even wondering whether the person in front of me needed me to blend in with their personality. People required this of me, and I knew it. A lifetime of experience taught me this was how to avoid ridicule and bullying. And so I did it. One day, I found myself talking with someone who asked a bunch of “get-to-know-you” questions. A bunch. Most people could probably easily answer these questions. I couldn’t answer one of them. Still couldn’t answer any of the questions. How did I not know my favorite color??? I LOVE color. In fact, right color combinations are one of the things I use to overcome anxiety! Not only was I embarrassed and stressed, but I felt empty. It was during that conversation I began to realize that I may have lost myself somewhere along the way. A long time ago. A really long time ago…. You see, even though I had known I could blend in, I had still believed I was uniquely me. I thought I knew me, my values, my strengths and weaknesses, and so on. Looking back, I realize that was an assumption I had made. I didn’t have a clue who I was. Years of giving people what they wanted cost me myself. It dawned on me that people who spent time with me liked themselves, not me. Because that was who I was with them. I was a mirror in which for them to see their own reflection. They didn’t know me. Not the real me anyway, because even I didn’t know her. So how could they like me? It felt like the problem kept getting bigger and bigger. So How Did I Get To Know ME? At the beginning of this journey, I was so scared. What if I got to know myself and didn’t like me??? What if I felt pressured to be ME before I knew how to be me??? So I went slowly. So very slowly. There were some times that I tried to push myself to go faster. Nope, this was not a process to rush. My first little baby steps stemmed from the conversation I told you about above. I started thinking about one little question at a time. One little “get-to-know-you question” at a time. Just one, because that was all I could handle. Each tiny question seemed overwhelming at the beginning. I was on a quest to find my favorite color. What I found was that my favorite color changed with the context. My favorite color in clothes? Black. My favorite colors for my home? Anything bright and neutral, but never white. My favorite colors for my website? Blues, greens, purples and pinks. Warm inviting colors. I didn’t know my “favorite” color because I couldn’t choose just one! I celebrated each piece of new-found knowledge about myself. And I Liked Me a Little More! Each answered question led me to another. And another. And those answered questions led me to begin trying some “get-to-know-me” activities. And it felt soooooooooooo good. So unbelievably good. I don’t even have words for how good it felt to begin to be me. Being able to answer these questions about myself made me feel lighter and happier than I had in, well, in memory. Even better, I was beginning to LIKE me. I LIKED me enough to continue presenting myself to others. AND I stopped serving as a mirror for others to enjoy themselves. Time I spent reviewing my life’s experiences, plus my diagnosis, helped me see where I lost me. I had lived a lifetime of hearing that my needs and wants were wrong. I wanted to have right needs and wants so bad, so to “get it right” I gave up on my needs and tried to adapt to the needs of others. I had been laughed at, bullied, and rejected more times than I can count. Becoming a chameleon was the solution. I couldn’t stop embarassing/awkward moments, but I could reduce their occurrence. I had tried and tried to understand the rules of the world (How did everyone else “know” the rules when I didn’t?) without ever succeeding. No one teaches these rules, you are supposed to learn them on your own. I didn’t. At least not all of them. Wow!!! Though I had been afraid at the beginning, as I got to know me, I liked me more and more. Each step I took moved me forward. Go figure!!! The road has been long (years in length! ), and the work has been hard, but now I know me. So Worth IT!!!!! I felt, not pressured, but free. I shed the weight of having to learn every nuance of the communications of others so I could repeat it. Long gone is the exhaustion of satisfying the needs of everyone around me while mine go unmet. It wasn’t always easy. I jostled some goals, disrupted some relationships, and changed parts of my lifestyle. I learned that I deserve to get something out of my relationships. It is not selfish, but healthy to think that. I deserve the opportunity to reach for and achieve goals that I set for myself, not those set for me by others. The people who cared about me and not themselves took the time to get to know the “new” me that was really the actual me. Experts say that people with autism can’t connect with others. This “truth” seems so much less relevant to me as I connect with others as myself. I now accept that I am a perfectly normal me. I am not a Chameleon! I have a defined personality type, I know many of my likes (and many of my dislikes), and I now have real relationships. What if people could actually get to know you and like you? What if you didn’t feel like every interaction with others was a staged and graded performance. What if you no longer felt like you had to walk on eggshells or live in fear of making a mistake? Wouldn’t that be incredible and freeing??? Head to the FREE Resource Library and check out the “Get to Know YOU” packet. Work your way through it at your own pace. Don’t rush. Try to answer the questions or do the activities. Make sure you are giving your own answers and not those you think someone else would want you to give! Take a personality assessment! No, not another diagnostic psychological assessment, a personality assessment. 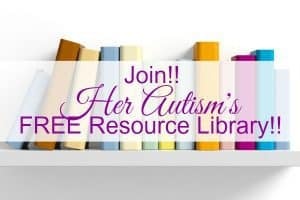 In my post, “Autism and Personality: 6 Awesome Tools To Help You Get To Know YOU,” I outlined some great tools to help you get started. Use the help of a great counselor! Discovering yourself is big stuff, and having help could make it all easier. You don’t have to do all this in a day. (You actually don’t have to do it all unless you want to!) You can do it in little bites, and you can do it as you’re ready. That is what I did! You can work through it a little bit at a time. There are some super good counselors out there, so if it gets too hard to do on your own, get some help and support. Try more than one counselor if needed to find the right one! Not everyone is going to like that you no longer serve to reinforce them by being the person they need you to be. It is inevitable. Don’t let these folks stop you! You may make changes in your life. Some of them may be big. That’s okay. It’s your life. Live it! Self-discovery should be a rewarding process, not an exhausting one. You don’t have to be working on it all the time. Work on it when it fits you! The things suggested here are a starting point. As you work through them, you will gain momentum and the next steps will follow! It is a journey, and it takes time, but it’s so worth it! Whatever you discover on your journey, always, always remember that you are enough. Just you! 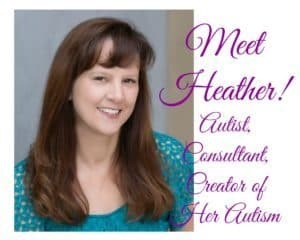 For a little fun, if you want to share your stories and results, you can email them to me at admin@herautism.com! Can’t wait to hear from you!! If you’re ready to get your copy of “Get To Know You!” don’t wait, get the password now and get started!